Spain’s Western neighbour, Portugal has an average of 3023 hours of sunlight every year, so it is no surprise that it is one of our favourite European destinations! We are delighted to announce that we have partnered up with Feels Like Home, a holiday apartment rental company that offers accommodation throughout Portugal. They offer a great range of holiday properties, ranging from poolside villas, to private apartments, for both personal and business stays. But why should you visit Portugal? A place where you can go surfing in the morning, visit century old castles at lunch, and drink award-winning wine at dinner, Portugal was voted the world’s leading destination for the second year in the row at the World Travel Awards Grand Final Gala Ceremony 2018. Not only does Portugal have over 100 beaches, but it has also kept the same borders since the 11th century, making it one of the oldest countries in Europe. 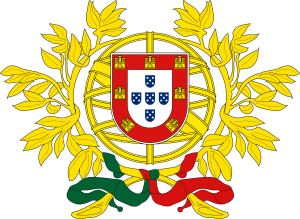 Portugal holds the record for the longest, and the shortest reigning monarchs in the world. Alfonso I Henrique of Portugal reigned for an impressive 73 years and 220 days, while Crown Prince Luís Filipe became King of Portugal for about 20 minutes after his father was killed on 1st February 1908. Sadly, the Prince died shortly after, cutting his reign short. Portuguese is spoken in eight different countries outside of Portugal. 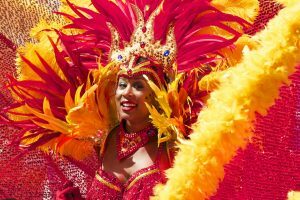 Angola, Brazil, Cape Verde, East Timor, Equatorial Guinea, Guinea Bissau, Mozambique, Sao Tome and Principe, as well as Goa in India and Macau, are just some of the other places that speak Portuguese. It is also the 6th most spoken language in the world with approximately 203 million speakers. Portugal was a great source of inspiration for J.K Rowling, after she moved to Porto, the country’s second largest city, in 1991. It was in Portugal that she began writing the first Harry Potter novel, Harry Potter and the Philosopher’s Stone. 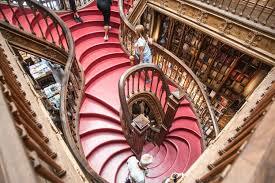 Rowling was particularly inspired by Café Majestic, where she would often write, and the bookstore Livraria Lello, whose staircase many say bares striking resemblance to the elaborate grand staircase at Hogwarts School of Witchcraft and Wizardry. If what we’ve said sounds right up your (Diagon) alley, why don’t you start planning your trip to Portugal? Do you fancy the magnificent beaches of the Algarve, the bustling cosmopolitan hub that is Lisbon, or the medieval and historic sights of Port? Wherever you want to go in Portugal, don’t hesitate in booking an apartment with Feels Like Home Holiday Rentals. With more than 300 carefully selected properties, we are sure that they’ll have the perfect apartment for you.